Category: All Categories Armrests Bath Benches - PVC Bath Seats Bath Seat Accessories Bath Seats Bedpan Beds Beds - 3 Function - Split Frame - Fixed Width Beds - 3 Function Split Frame Variable Width Beds - 3 Function Split Frame Variable Width Low Bed Beds - 5 Function Split Frame Variable Width Home Care Beds Canes Chairs Geri Chairs Hip Chairs Reclining Chair Transporter Commodes - Bedside Bedside Commodes - Droparm (Aluminum) Bedside Commodes - Droparm (Steel) Bedside Commodes - Fixed Arm (Aluminum) Bedside Commodes - Folding Commode Accessories Commodes - Pails Commodes - PVC Crutches Forearm Crutches Forearm Crutch Accssories Forearm Crutches Underarm Crutches Underarm Crutch Accessories Underarm Crutches Exam Tables Exercise Equipment Gurney/Stretcher Gurney Stretcher Lift to Stand Mattresses Foam Mattresses Low Air Loss Mattresses MRI Safe Patient Lifts Patient Lifts - 1000 lbs. Patient Lifts - 600 lbs Patient Lifts - 700 lbs Patient Lifts - 750 lbs Raised Toilet Seats Recliners Rehab Equipment Safety Rollators Safety Rollator - Aluminum Safety Roller - 400 lb Capacity Safety Roller - 500 lb Capacity Safety Rollator - Steel Scales Bathroom Scale Wheelchair Scale Seating Wooden Frame Shower Chairs - Fixed Height Shower Chairs - Pails Shower Chairs - PVC Shower Chairs - 425 Lb. Cap. Shower Chairs - 600 LB. Cap. Shower Chairs - 700 Lb. Cap. Shower Chairs - 900 Lb. Cap. Shower Chairs - Transport Aluminum Frame PVC Stainless Steel Shower Stools Shower Stools - Capacity 500 lbs. Shower Stools - Capacity 600 lbs. Shower Stools - Capacity 850 lbs. Specials Step Stools Step Stool - MRI Safe Step Stool - with Handle Step Stools - Folding Step Stools - Industrial Step Stools - Standard Trapeze Tub Transfer Benches Tub Transfer Benches - Capacity 400 lbs. Tub Transfer Benches - Capacity 500 lbs. Tub Transfer Benches - Capacity 600 lbs. Tub Transfer Benches - Capacity 850 lbs. 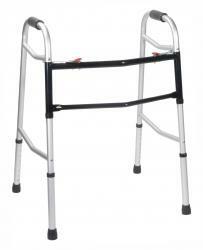 Walkers / Walking Aids Folding Walkers Folding Walker Accessories Folding Walkers Rigid Walkers Rigid Walker Accessories Rigid Walkers Wheelchairs Wheelchairs - Manual Wheelchairs - Capacity 500 lbs. Wheelchairs - Capacity 600 lbs. Wheelchairs - Capacity 700 lbs. Wheelchairs - Power Power Wheelchair - Capacity 600 lbs. Power Wheelchairs - Capacity 675 lbs. Wheelchairs Closeout - Capacity 700 lbs.